Bill Remembers Circus of the Stars! Sequins! You Know You Want It. So Do We! Enjoy a day with the stars of ABC's smash hit Boston Legal. Led by an Emmy Award-winning cast, "Boston Legal" returns for a third season to tell the professional and personal stories of a group of brilliant but often emotionally challenged attorneys. Fast-paced and wildly comedic, the series confronts social and moral issues, while its characters continually stretch the boundaries of the law. Back-to-back Emmy Award winners James Spader and William Shatner play Alan Shore and Denny Crane, unlikely kindred spirits among the brigade of high-priced litigators at Crane Poole & Schmidt. In addition, Shirley Schmidt (played by five-time Emmy winner Candice Bergen), a founding partner of Crane Poole & Schmidt, has been coaxed back to the Boston law firm to help bring order to the chaotic office. She keeps a vigilant eye on all, particularly Denny Crane - with whom she shares a checkered past. The firm's other attorneys include Brad Chase (played by Mark Valley), an ex-Marine who often finds himself in a test of wills with Alan Shore, and Paul Lewiston (played by Rene Auberjonois), the "lawyer's lawyer" who continually tries to save Crane from himself. Then there's Denise Bauer (played by Julie Bowen), a tough, smart senior associate still desperate to make partner. "Boston Legal" stars James Spader as Alan Shore, Julie Bowen as Denise Bauer, Mark Valley as Brad Chase, Rene Auberjonois as Paul Lewiston, Constance Zimmer as Claire Simms, Gary Anthony Williams as Clarence/Clarice Bell, with Candice Bergen as Shirley Schmidt and William Shatner as Denny Crane. The winner of this auction lot will also have the chance to enjoy a cigar with William Shatner, aka, Denny Crane. Sales tax will apply to residents of the State of Connecticut. Shipping: charitybuzz® Auctions uses UPS for all shipping. Shipping and applicable insurance via UPS for this item is $15.00 within the United States, unless the terms indicate special delivery instructions. International Orders: Shipping fee reflects domestic U.S. shipping only. Shipping outside the U.S. will be calculated separately. International winners are responsible for all customs fees and import duties. Winners of Multiple Lots: charitybuzz may combine shipping costs for winners of multiple lots. NB: Leonard Nimoy shares his birthday with LENE! Happy Birthday ME! 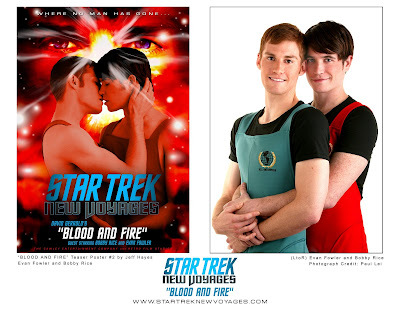 We interview two of our favorite fanfic writers and vidders, Killa and T.Jonesy! Today is Bill's birthday! Hail to the King! 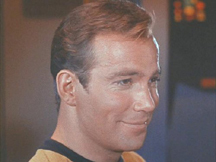 Help us with a question for Bill on ShatnerVision! EW! And it doesn't even look like Bill. Bill the Negotiator: So naughty! A sound clip for the ages.